Four off-piste skiers died in avalanches over the weekend in the French Alps – three on Sunday morning in the Savoie – as the authorities were issuing warnings about the Spring thaw. 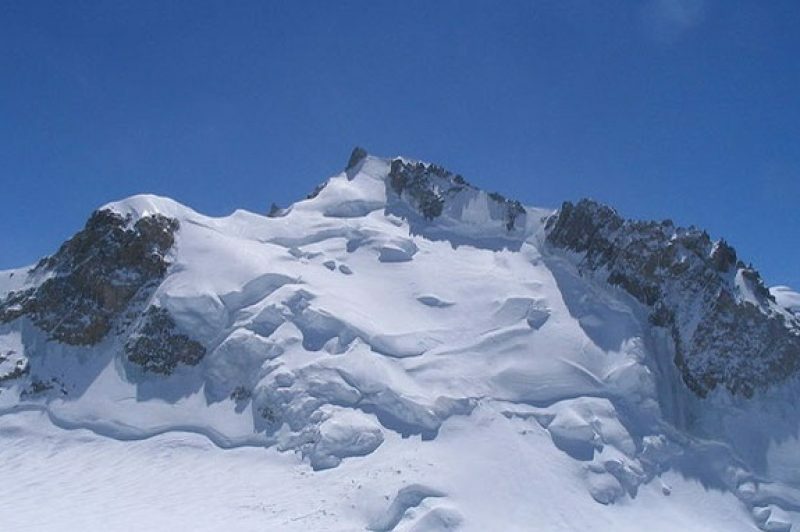 According to the CRS (police) in Modane, an avalanche was triggered at about 08:30am on Sunday at the summit of Dent Parrachée in the Vanoise Massif (3,600m high), sweeping six off-piste skiers in its path, including a guide and three of his clients. The latter victims, who suffered multiple traumas, were later transferred to the hospital at Saint-Jean-de-Maurienne, between Chambéry and the Val d’Isère, where one since succumbed to injuries suffered. It was three other off-piste skiers descending the same slope who found the injured parties. All were equipped with Avalanche Victim Detectors (AVD). The two initial fatalities, whose identities have not yet been released, were found buried under the snow by sniffer dogs trained to find bodies in an avalanche situation, according to the CRS of Modane. “While they were almost at the summit, the victims were swept away by an avalanche that dragged them about 400 metres down a narrow slope of about 45 degrees,” explained David Petitjean, head of CRS Modane. The melting bulk of snow, which plummeted almost 600 metres down the slope, formed at the top on the south face of the summit. It’s an itinerary much favoured by lovers of off-piste skiing. This demanding discipline consists of exploring and skiing the rest of the mountains away from the maintained pistes, with the aid of special skis equipped with synthetic skins and crampons to facilitate climbing. On Sunday, the avalanche risk in Savoie was put at 3 (on a scale of 1 to 5) for the south faces of the mountain that were exposed to the sun. But because the avalanche took place in the morning, it was not, according to initial reports, linked to the Spring thaw. So says commander Petitjean. “It looks like it was wind layer (a layer of snow moved by the wind) which gave way underneath them,” added the commander. On Saturday afternoon, meanwhile, another off-piste skier of 60 years of age was killed in an avalanche at 2,000m altitude further south at Champsaur. Emergency services and police in both French departments had appealed to off-piste skiers to proceed with the utmost caution given the “strong risk” of an avalanche occurring, particularly with the rise in temperatures. “The very favourable weather conditions that we expected this weekend with a sharp rise in temperatures – particularly 23° C on Sunday – weakens the layer of snow,” the prefecture of Hautes-Alpes had warned. Avalanches remain, however, notoriously difficult to presage, according to the professionals. “Exposure to the wind, the orientation towards the sun, the gradient of the slope and the humidity levels are all indices which vary from one corridor to the next,” explained a spokesperson from the Centre of Snow Studies at Météo-France. Since the start of this years winter season, 32 people have died in avalanches in France, according to the Grenoble-based National Association of Snow and Avalanche Studies (Association Nationale pour l’Etude de la Neige et des Avalanches). During the 2011-2012 season, 13 people died in avalanches – the lowest such national death toll in 37 years.